Local menswear line Sharply teamed with Redhook's Brewlab on a cool, cozy T-shirt. 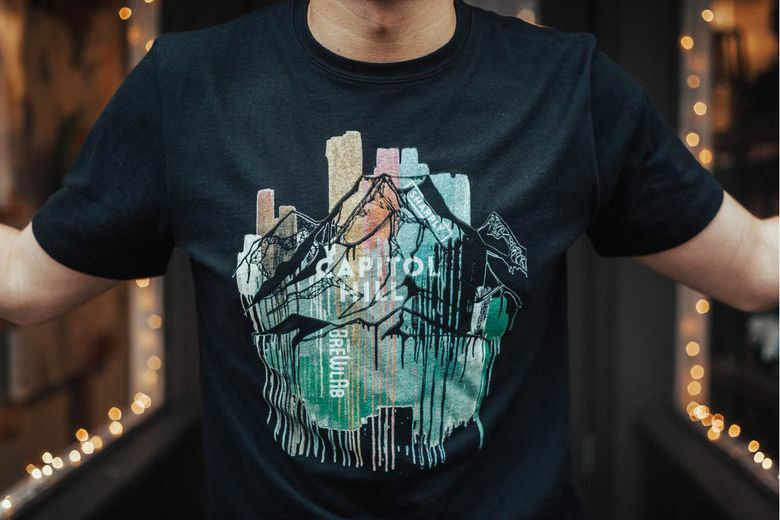 Drink in your love of Seattle and its famous microbrews with a new limited-edition T-shirt from local men’s line Sharply. The Sharply Brewlab Cap Hill T-shirt is a collaboration with Redhook’s new Brewlab experimental brewery, located on Capitol Hill. Sharply, which started online and opened a Capitol Hill store last year, specializes in ultra-soft, easy-to-wear basics. They enlisted Seattle artist Hannah Olson to create the painterly design that’s cool and a bit edgy — just like our beers.